Beauty Blender has been one of those things I’ve been dying to try out for ages, but I just couldn’t justify the price – it costs about 19€. Luckily, I didn’t buy it right before Christmas as I’d been contemplating to, because I think I’ve found a pretty good and a lot cheaper dupe. Now I’m not going to say that this sponge is just as good as the Beauty Blender, because I obviously haven’t tried the beauty blender, but it works fantastic for me, so I’m glad I haven’t made that splurge. In case you have no idea what I’m currently talking about, both Beauty Blender and the thing I’m going to talk about today – Cosmopolitan Blend Perfection Sponge – are make-up sponges used to apply foundation. But they are not your normal, triangular looking sponges that you normally see at a drugstore. To use them properly, you have to wet them under under a tap, squeeze out the excess water and then apply your foundation using the damp sponge. I apply my foundation by putting some of it on my hand, dipping the pointy part of the sponge in it and then tapping it on my face. After I put it on my face, I turn the sponge around and use the flat part to blend it in with the same tapping motion. I’ll be publishing my ‘Get Ready With Me’ video in a couple of days, so you will be able to see how exactly I do it. As I have said, I use the sponge to apply my (liquid) foundation and I also started using it for my concealer. I’m seriously impressed with how it works. 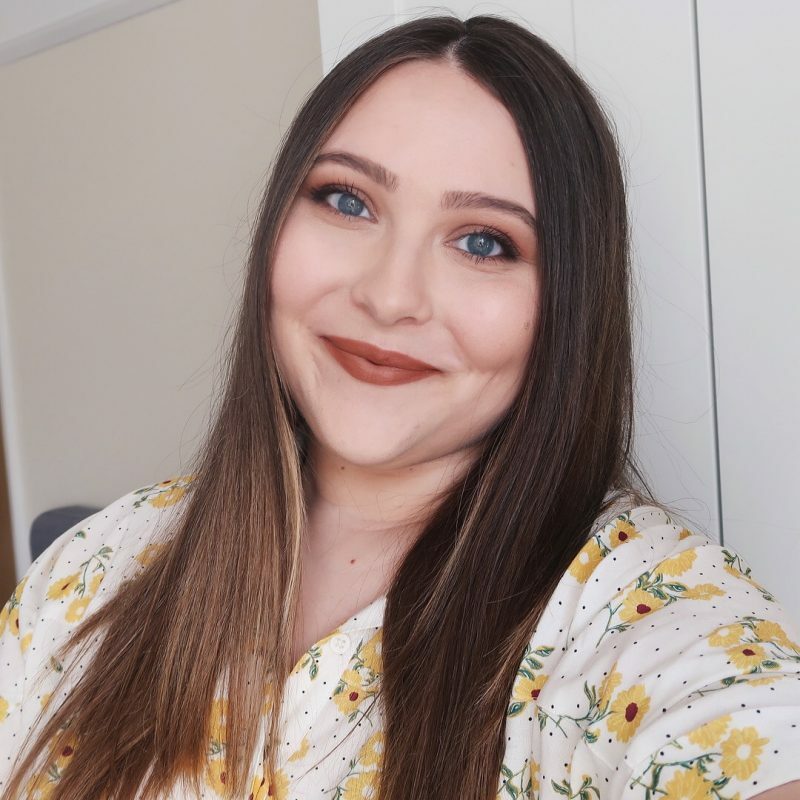 You can see how it makes my skin look like in the above photo (I’m wearing Bourjois Healthy Mix Foundation – full review here). It doesn’t make my foundation look cakey and gives me the most natural look. I don’t know how to explain it, but it sort of makes the foundation less thick and therefore more natural looking. The foundation does end up being a bit more sheer, though, but if you need more coverage, you can totally build it up. Right now, I prefer using it over all of my foundation brushes, even my favorite Sigma F80 Flat Kabuki Brush. You can get the Cosmopolitan Blend Perfection Sponge here for only 7€, which makes it three times cheaper than the Beauty Blender. So, who else is in love with this amazing invention? you look sooo beautiful and pretty! Wow your foundation is flawless !! Hvala! Mogoče ni bla v redu. Obstaja ful telih gobic in ene so fajne ene pa menda grozne. Hmmm… moram sprobat nekaj takega, baje ima tudi Essence nekaj podobnega, ampak jaz nikoli ne najdem te zadeve. Ja, sem vidla, da je Deja tudi tole od Essence omenjala. Tudi jaz je nisem še nikoli videla. Tudi jaz še ne. Tole sem kupila v Londonu.